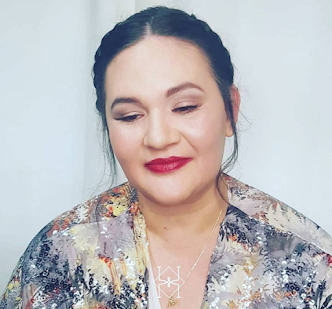 Lately the use of serum has become a very important part of my beauty regime. Now I can't start or finish my day without it. 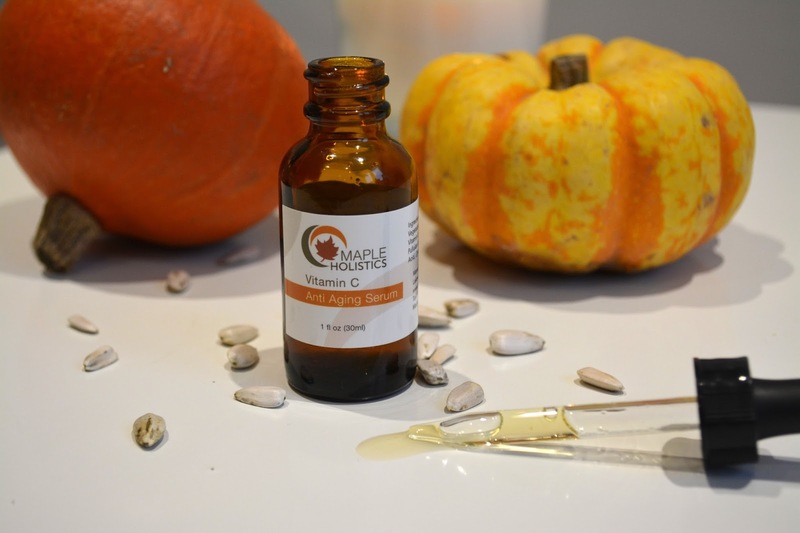 When Maple Holistics contacted me few weeks ago to try their Vitamin C Anti Ageing Serum, well I definitely could't refuse the offer. Also as you know my big love for natural alternative beauty products, well Maple Holistics believe in this too so it was two thumbs up for me. What about the scent? My first impression of this Vitamin C Serum was the scent! This serum has a very light maple scent that is rather very pleasant especially after showering in the morning and it is one of the first products I reach for, it's always a delight to open the bottle and smell it around me. Who doesn't like maple scent? (definitely amazing on pancakes but don't eat this one!) Having said that it is not overpowering and the scent will disappear after few minutes. What about the constituency? The serum itself is a golden, very fluid product. I usually put 3 to 4 drops in the pan of my hand with the little well designed pipette and then massage it all over my face and neck until my skin absorbs it all. Usually it will not take more than a minute so I can then carry on with the rest of my beauty regime. I usually use this serum in the morning and in the evening before I snuggle into my warm blanket. What about the ingredients? As you probably guess by the title this serum is bursting with vitamin C and if you did your homework vitamin C is loved by skin as it is an antioxidant (hello anti-ageing goodness!! ), it reduces redness or brown patches etc. so basically Mr Vitamin C and your skin are best friends. Also it is filled with other natural ingredients such as Aloe Barbadensis leaf among others. 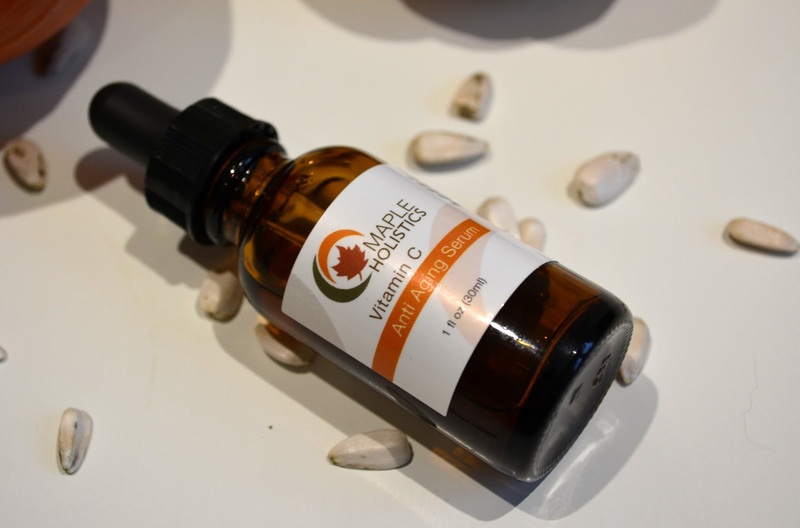 Would I recommend Maple Holistics Vitamin C serum? Yes! It's a pleasant product to use, it is light, I feel my skin softer and more moisturised and it's all natural, so I would definitely recommend it and carry on using it everyday to the last drop. 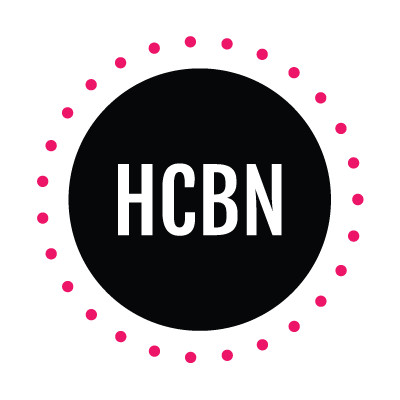 if you would like to know more please follow this link. 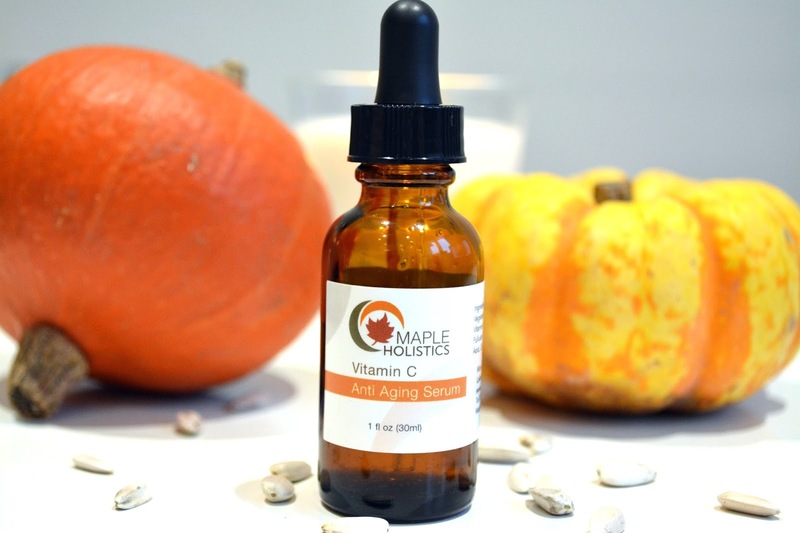 Have you used Maple Holistics Vitamin C serum before or any product from this brand? Please tell me all by commenting below.